It’s important for me to push my limits in the kitchen. 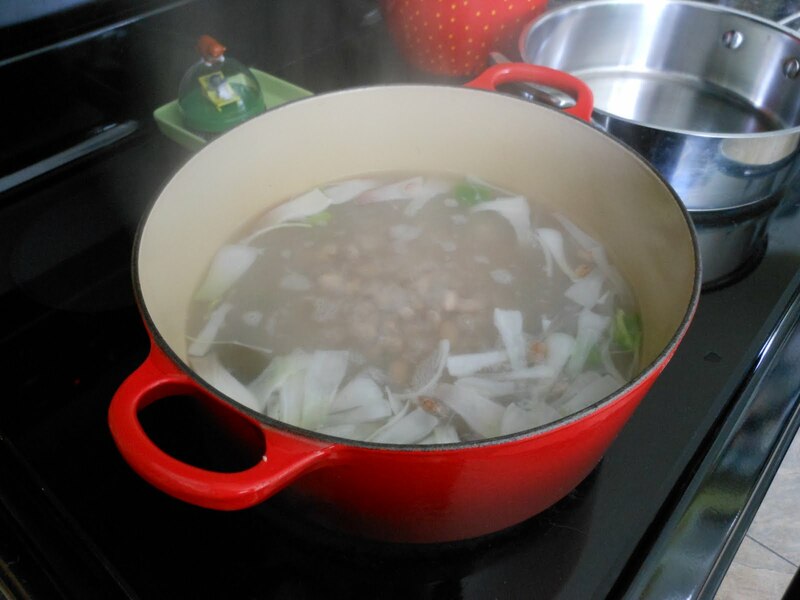 Last year that was making my own beans instead buying canned ones, and not to toot my own horn but I LOVE my Homemade Pinto Beans (recipe is on the blog). For this batch of beans I also attempted to make my own enchilada sauce to drench our burritos in, it turned out delicious. I think it was do to the leftover juice from my Perfect Roast Chicken. The beans boiling away w/ onion (from the farmer’s market), fresh garlic (from the farmer’s market), a little jalapeno and a piece of kombu. 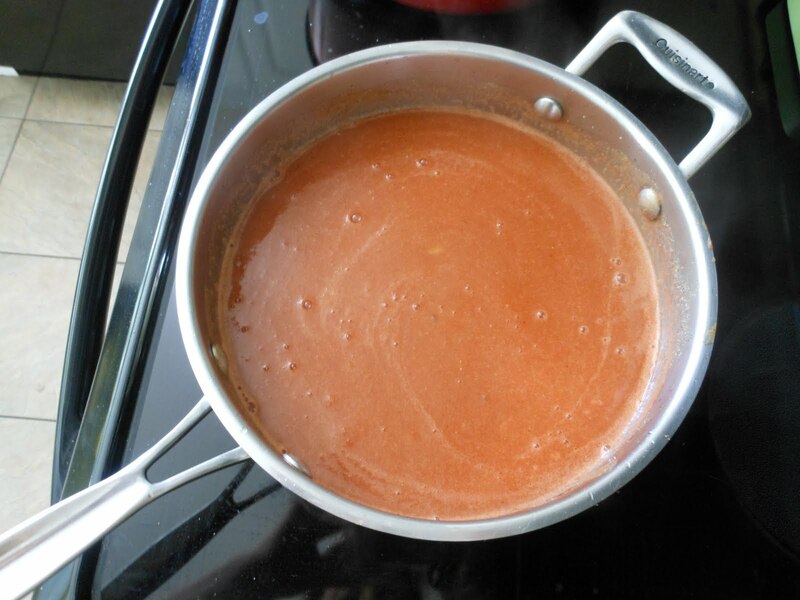 Yummy enchilada sauce: Saute garlic and onions in olive oil, season with salt and pepper, then maybe 2tsp. each of cumin and chili powder, next a add a heaping tablespoon of flour and stir around for about a minute. Next pour in about 1 c. chicken stock (you could use veggie stock as well) and scrape off any bits of the bottom, when it starts to thicken add a large can of tomatoes, pureed (I used my last jar of canned tomatoes, pureed). Stir everything together and simmer for a bit. The finished dish! 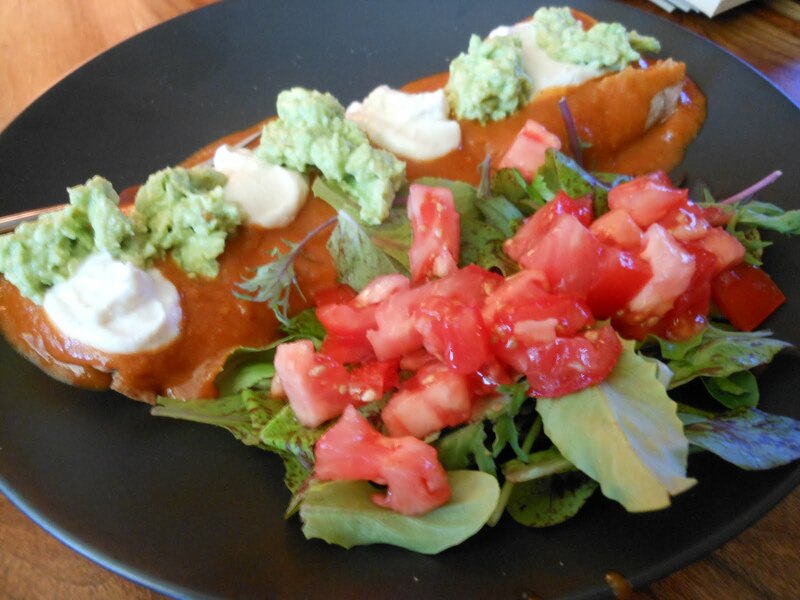 We used Rico’s Whole Wheat Tortilla’s, filled with Homemade Pinto Beans (recipe on the blog) and Beehive Promontory Cheese, topped w/ homemade enchilada sauce, smashed avocado and DIY Tofu Sour Cream (recipe on the blog), w/ a side of fresh greens (from the farmer’s market) and a Wyomatoes tomato. YUM-MY!